Lansing, Mich. (Nov. 14, 2016) The state of Michigan won approval to spend up to $119 million in federal funds to remove lead health violations from the homes of low-income residents. The project, the second waiver Michigan has received to spend additional money, will extend for an additional five years. The abatement services will target homes with vulnerable residents such as households with pregnant women or members under the age of 19. The federal funding will be used to eliminate or permanently close off lead-based paint and lead dust sources, replace contaminated structures and test samples in surrounding soil. The funding will also cover replacement of exterior lead services lines that connect water mains to homes - fundamental in preventing lead from contaminating the local water supply. In communities such as Flint, where pervasive lead poisoning made international news, news of the approval is encouraging. 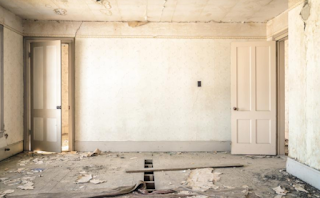 "Removing lead in homes, including pipes in homes, can greatly decrease the risk of future lead exposure and improve children's health," Dr. Nicole Lurie, director of the U.s Department of Health and Human Services outreach in Flint, said in a recent press release. Other officials such as Michigan governor Rick Snyder called the waiver approval "great news." The amendment takes effect this January; the state of Michigan will be identifying high-risk municipalities until then. For more information about lead abatement certification, visit Zack Academy's lead certification webpage. For more information on the U.S Department of Health and Human Services outreach in Michigan, visit their official website.